Dateline the Fillmore, 1946 Fillmore Street, where Johnny Rockets has finally called it quits after 20 years. 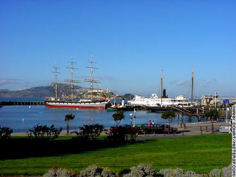 The Fillmore venue joins the Chestnut Street location in the dustbin of gastronomic history. 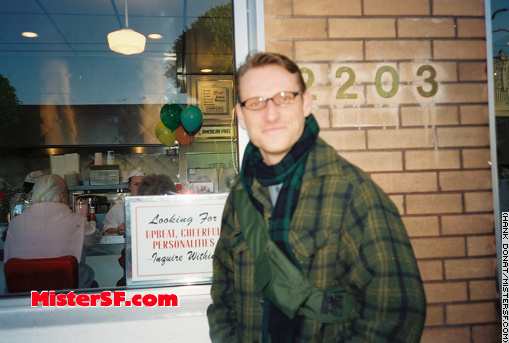 In 1999 Mister SF is seen among the upbeat, cheerful personalities at 2203 Chestnut Street. 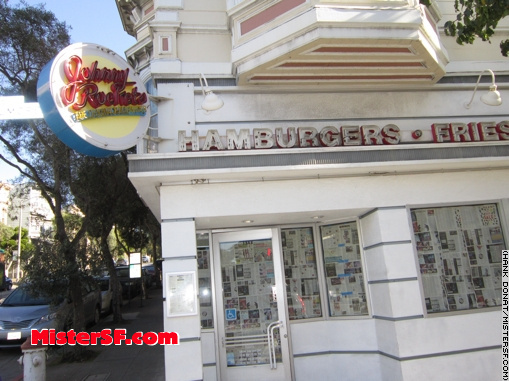 The Johnny Rockets location closed in 2011 after 25 years. 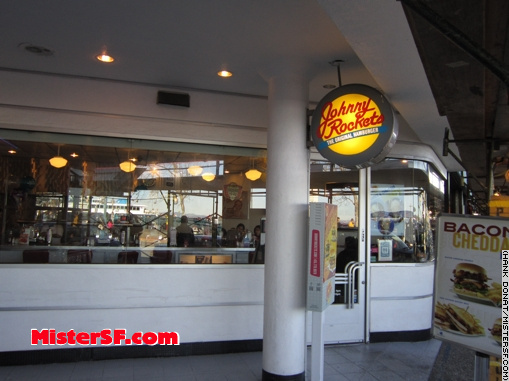 Following a rennovation, the Fillmore Street Johnny Rockets location is scheduled to open in the spring as a Glaze Seattle-Style Teriyaki restaurant. 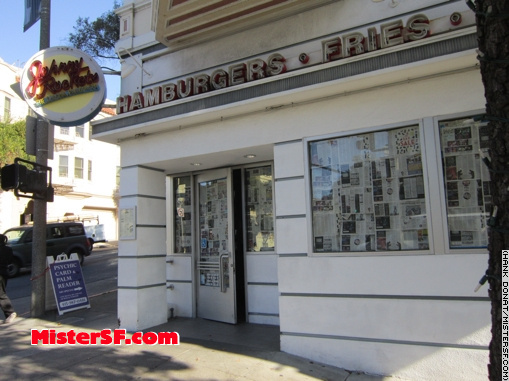 Fans of American food and ’50s-style diners can still find a Johnny Rockets at 81 Jefferson Street in Fisherman’s Wharf and an In-n-Out Burger at 333 Jefferson Street. Mel’s Diner and Lori’s endure at multiple locations. 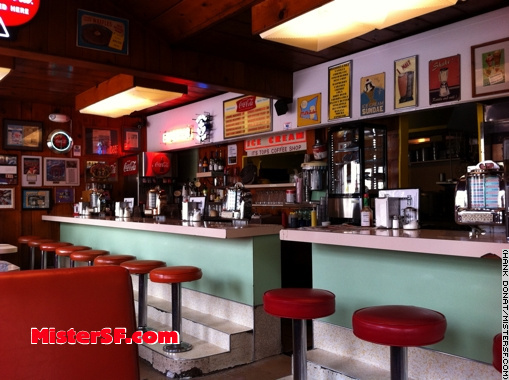 We prefer actual Classic American diners over theme ones. The best remain It’s Tops (above) at 1801 Market Street, Bechelli’s at 2346 Chestnut Street, and the Manor Coffee Shop at 321 West Portal Avenue.